Editors and Directors of five IMPRESS member publications took their seats as part of different panels at the inaugural IMPRESS Trust in Journalism Conference. An additional 20 journalists from IMPRESS-regulated publications took part in the inaugural conference last Tuesday 6 November. Vanessa Baird, co-editor of New Internationalist, was part of the first panel of the day: "Sacred Facts: Can journalism be partisan and high-quality?'. In reply to the big opening question, Vanessa said: “I think you can do it. You don’t let your opinions influence you when you come up against the facts and speak truth to power. Part of that truth is recognizing our own biases. The journalistic convention is to go for the killer fact. It would be more respectful to our readership to show the range of facts”. 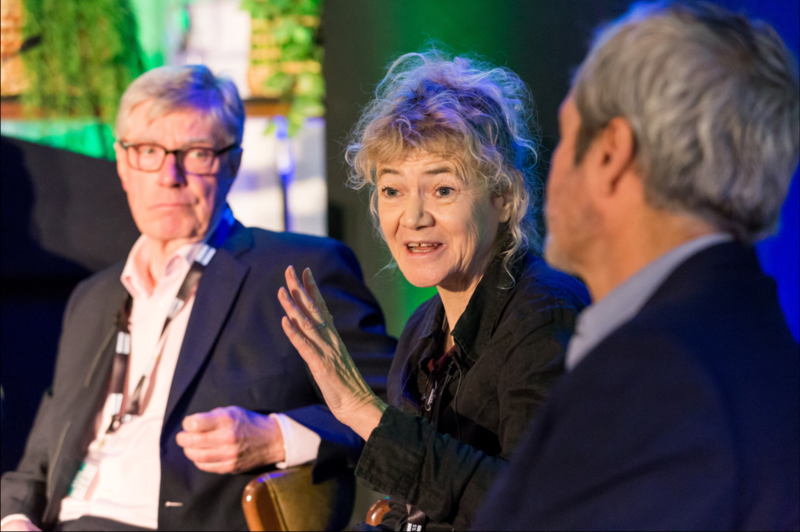 Joining her on the panel were Mary Fitzgerald (Editor-in-chief of openDemocracy), Chris Elliott (Director of the Ethical Journalism Review) and Gavin Esler (journalist and author, former BBC correspondent). The third panel of the day was: 'Smart News: What's new in independent publishing?". Peter Jukes, Director of Byline, chaired an exciting discussion. 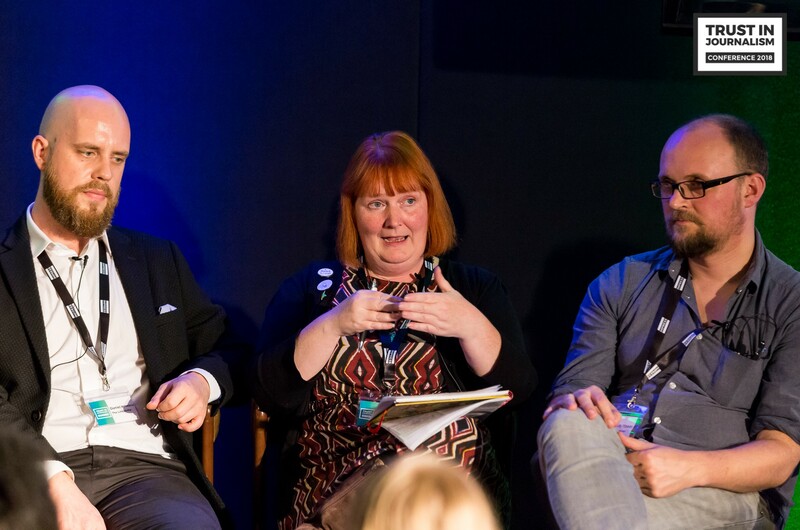 Three editors of IMPRESS-regulated publications spoke about their business models and latest innovations, as emblematic representatives of the independent news in the UK. Each of them brought a very specific expertise to the table. Daniel Ionescu, Editor of The Lincolnite, spoke about how he managed to grow organically on social media: "How did we get to half a million readers? We try to be there for the people, where news is happening (…) We tried to become a sustainable digital newsroom". 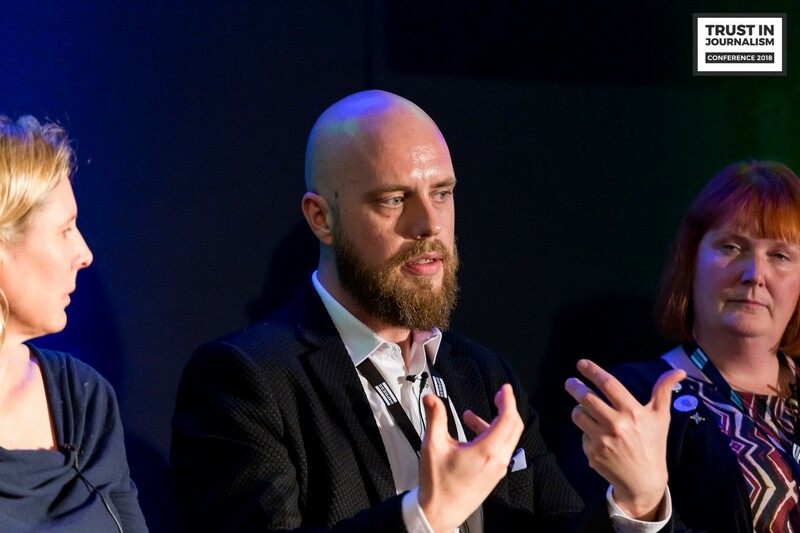 Alistair Tibbitt, co-founding board member of The Ferret, focused on his publications as a membership-based news organisation: ". All our subscribers become reader members automatically. As a membership organisation, we also have an ethical advertising policy, for example, supported by our members". When it came to the type of relationship with the mainstream media, he said: " [At The Ferret] we see ourselves as partners of the MSM”. Finally, Sarah Cheverton (Editor-in-chief of Star & Crescent) focused on their citizen journalism model: "We don't take advertising on the website. (…) When we started, we were really frustrated by the state of local news. We knew there were a lot of opposition voices locally. So our aim was to plug in gaps. We got funding on the basis of what we were doing on the ground. We too see ourselves as complimentary to MSM". Also joining them on the panel were Rachel Oldroyd (Managing Editor of The Bureau of Investigative Journalism) and Meera Selva (Director of the Journalism Fellowship at the Reuters Institute for the Study of Journalism). Other IMPRESS-regulated publications present at the conference were: DeSmog UK, Asian Lite, Brixton Blog, RightsInfo, Waltham Forest Echo, Cooltura Magazine, 5Pillars and OnTheWight.